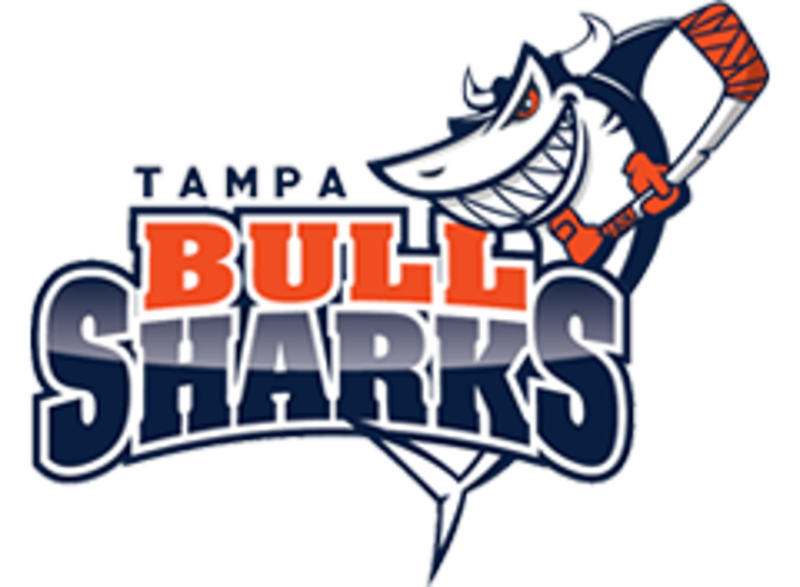 The 2007 Tampa Bulls Hockey Team plays out of the Ice Sports Forum in Brandon, Florida. For inquiries regarding the team, please contact the Head Coach, Gary Parkhurst at BullsHockey2007@gmail.com. 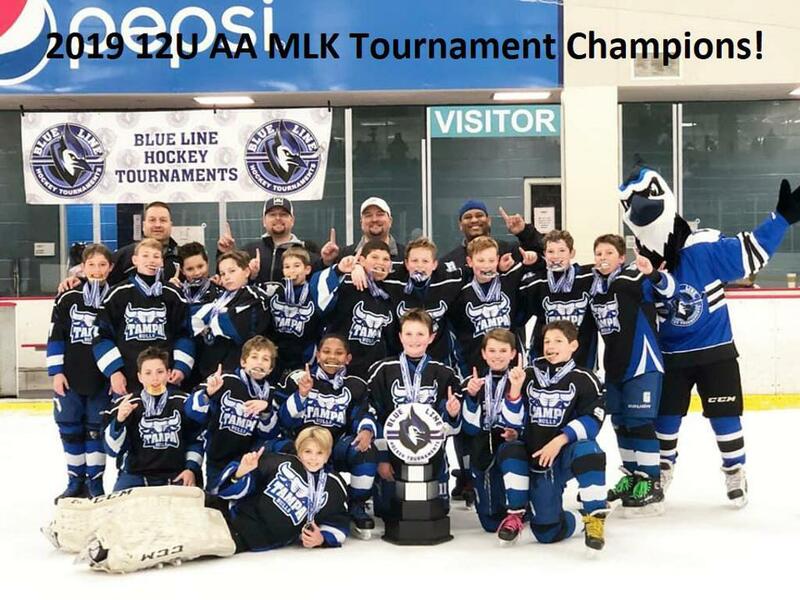 2007 Tampa Bulls Win the 2019 MLK Tournament in Orlando! Congratulations to the Bulls on another tournament win! The Bulls traveled to Orlando to compete in the 12U AA Blue division which was the top division in their age bracket. They started the weekend with a disappointing 4-4 tie with the CFHC Bears. With a 1:44 left in the game, the Bulls led the Bears 4-2. Within about 60 seconds, the Bulls let up 2 goals allowing the Bears to tie the game. The second game in the round robin play was a 3-2 loss to the Charlotte Rush. The Bulls finished out the pool play with a 3-1 win over the Carolina Rage. 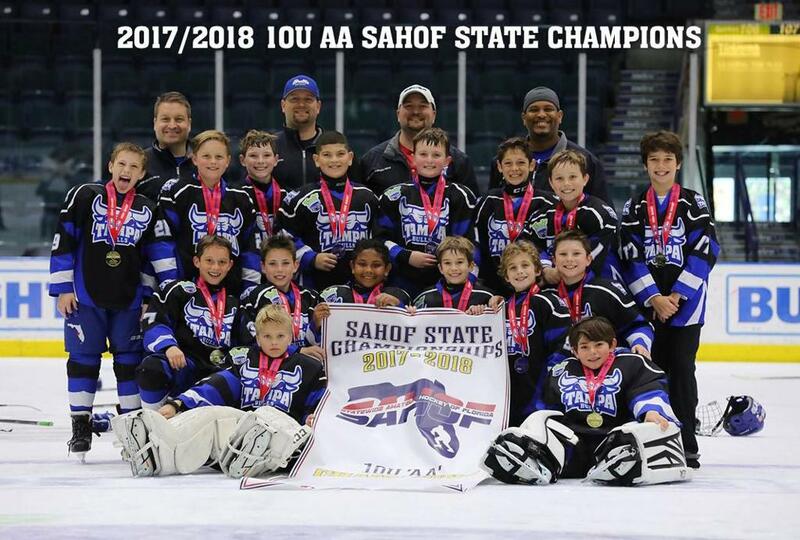 This win put them in a tie for 2nd place with the Rage and since they won their head to head competition, the Bulls made it to the Championship game allowing a rematch with the Bears. The Bulls came out laser focused and ready to play a team they had not yet beat this season. It was a true team effort with everyone contributing to the win. The Bulls goal tender stopped 25 shots, the defense blocked 17 additional shots, Dean Johnson placed a perfect shot from the high slot over the goalie's shoulder and every player made a commitment to tiring out the much bigger team on the Olympic ice. The empty net goal at the end of the game by Sasha Raskin sealed the 2-0 win over the Bears to win the championship. Congratulations Bulls! 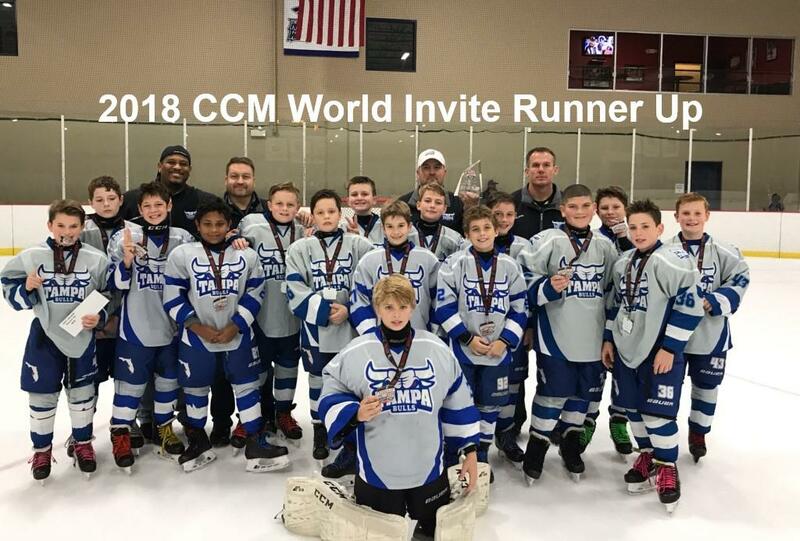 Fresh off the win at the Bauer Motown Classic, the 2007 Tampa Bulls continued their winning streak while competing in the 2018 CCM World Invite in Chicago November 2nd - 4th. Going 3-0 in the Round Robin play, they advanced to the Sweet 16 where they defeated the St. Peter's Spirit 5-2. Moving on to the Elite 8, the Bulls beat the hometown Chicago Jets 4-1 advancing them to the Final Four. The semi final round consisted of the top 4 ranked teams in the country. The #3 ranked Bulls faced the #4 ranked Anaheim Ducks with the Bulls victorious with a 2-1 win. The Bulls faced off vs the #1 Ranked Carolina Eagles in the Championship game where their winning streak came to an end with a 4-1 loss. 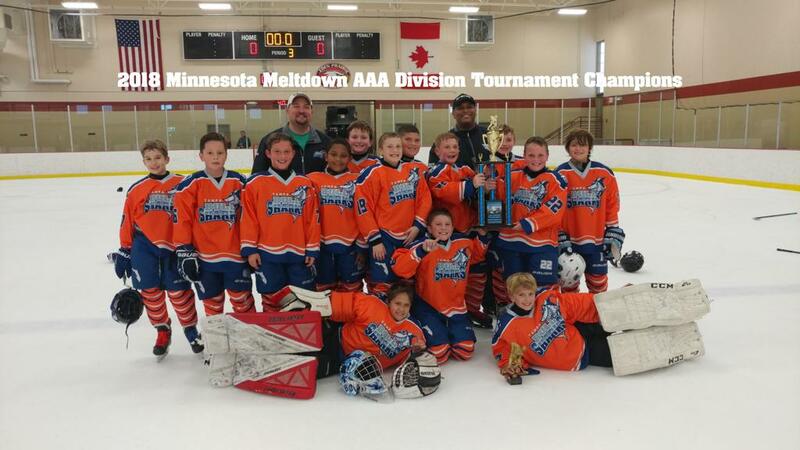 While not the outcome they were looking for, #2 out of 32 teams in one the most competitive tournaments in the country is a great accomplishment! Congratulations to the Bulls and their coaching staff! 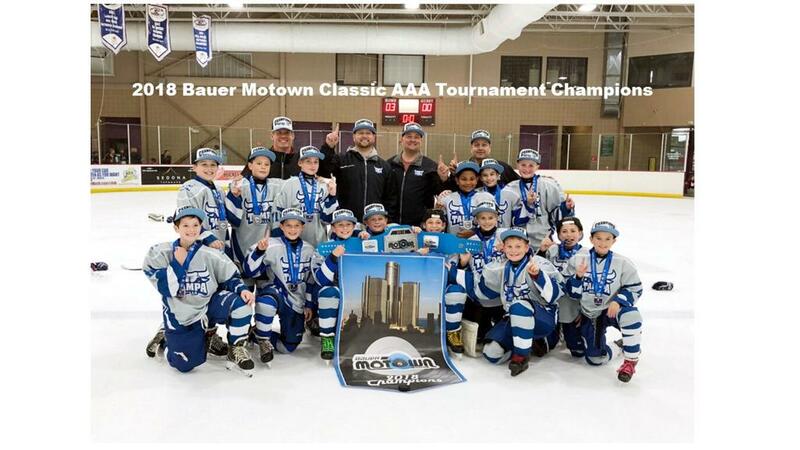 2007 Tampa Bulls Win the 2018 Bauer Motown Classic! 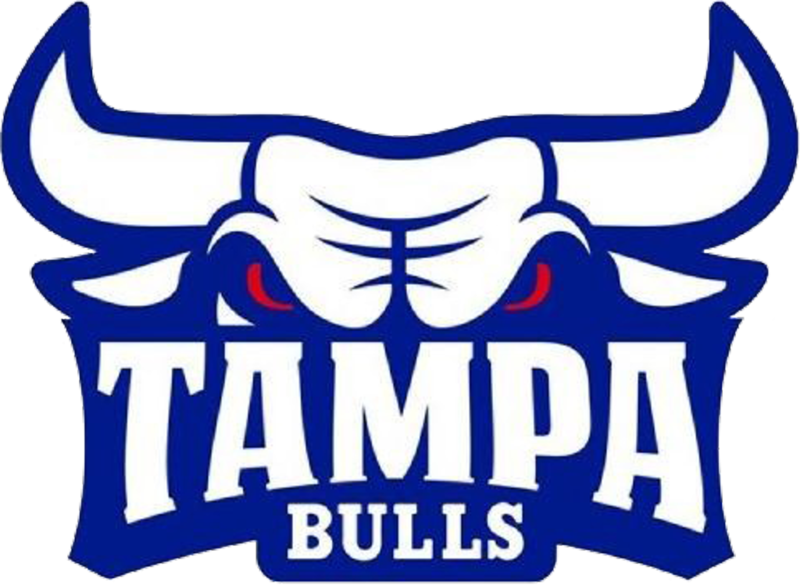 ©2019 2007 Tampa Bulls Hockey / SportsEngine. All Rights Reserved.